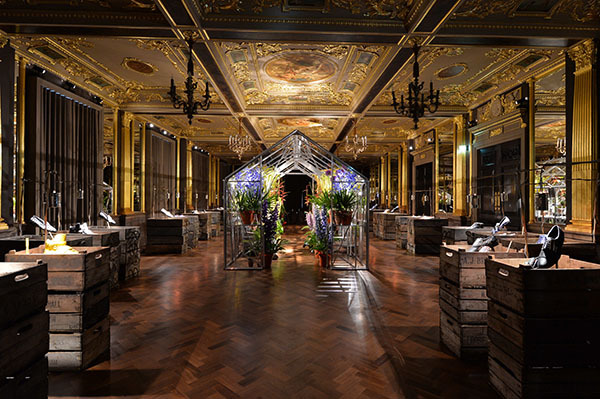 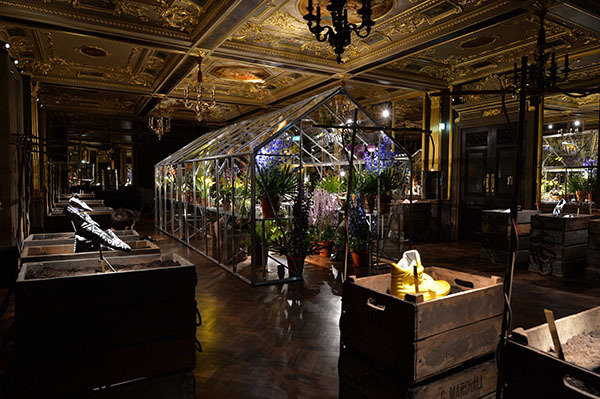 Louis Leeman transformed the Pompadour Room at Café Royal into a lush hothouse filled with a fresh spring crop. 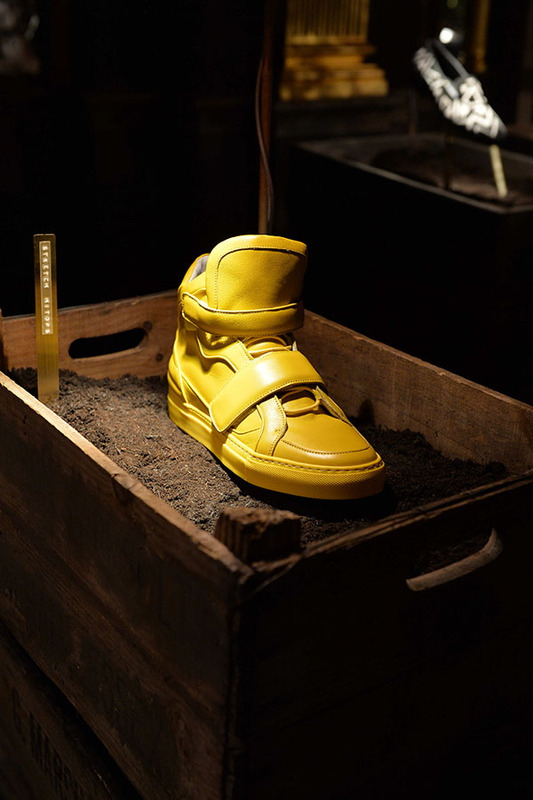 Vintage fruit and vegetable crates were stacked to create raised beds and spotlights hung above shoes sat in soil. 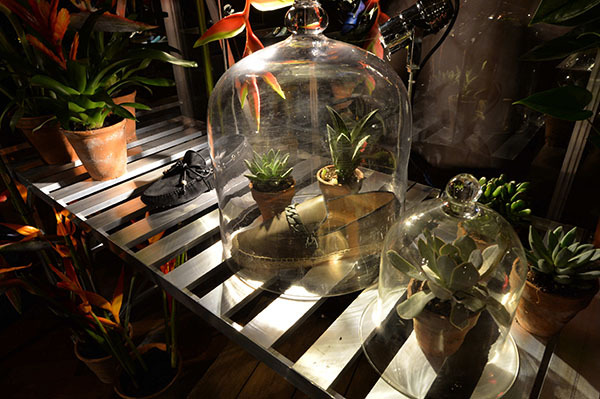 In the centre of the room was a greenhouse overflowing with succulents, cuttings, terrariums, vintage botany books and a scattering of footwear. 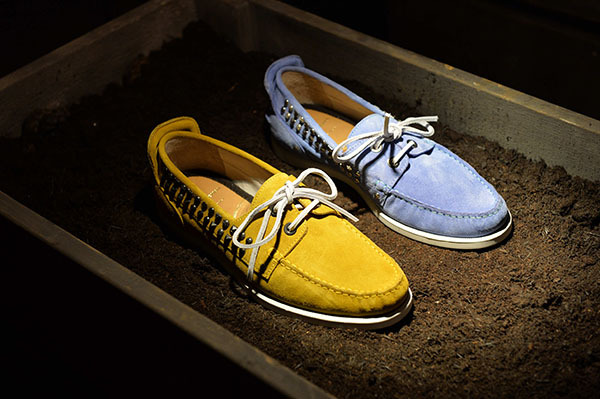 Top of the crop were a stunning pair of sunflower yellow high-tops, woven Satan slip-ons, and studded leather boat shoes. 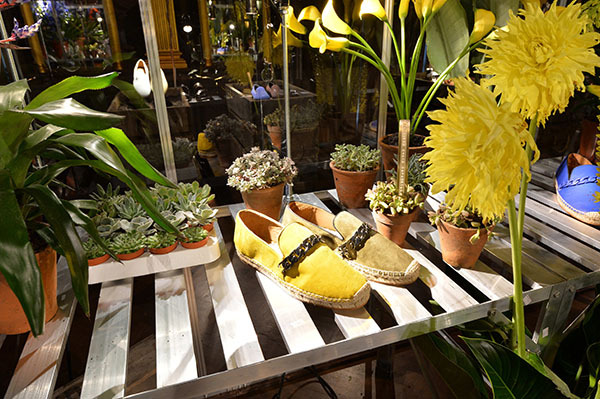 Earthy espadrilles got a luxe makeover in leather with chain detailing. 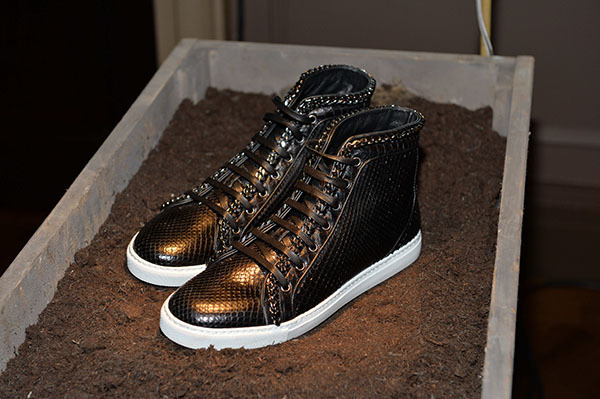 Chain was a running theme and also embellished leather sneakers and snakeskin trainers. 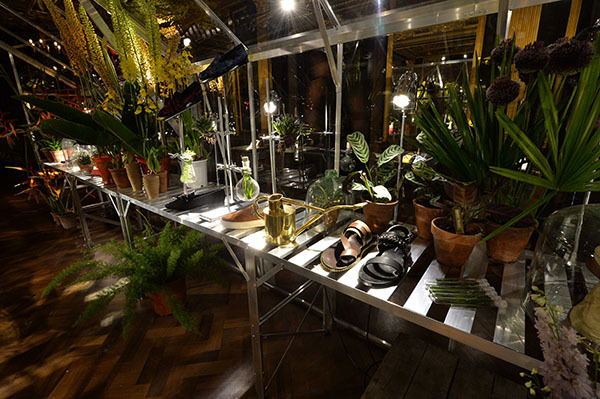 Summer sandals were also gave a hard edge with studs and chains again. 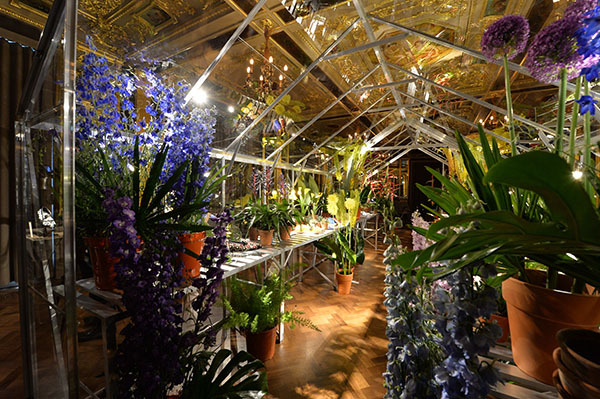 April showers may bring spring flowers, but we’ll take whatever created this garden of earthly delights.